San Antonio Uncovered: Sam, the Space Monkey - From Outer Space to the San Antonio Zoo. Sam, the Space Monkey - From Outer Space to the San Antonio Zoo. Sam was the first Texan to travel into space. Born in 1957 at the University of Texas, Sam, a rhesus monkey, was designated for the U.S. space program because he was a stand-out at the U.T. Balcones Research Center. On December 4, 1959, Sam was launched into space from Wallops Island, Virginia. After a seventeen-hour countdown, Sam was launched fifty-five miles into space and spent a total of twelve minutes there. After his famous flight, Sam was brought to the School of Aerospace Medicine at Brooks Air Force Base, where he was put under medical scrutiny. The space chimp made the cover of Parade magazine in 1960, but his fame was short-lived when John Glenn became more popular. Sam was kept at Brooks AFB for a mere eleven years when the air force figured they had gathered enough evidence on the effects of twelve minutes of space flight on monkeys. Sam then moved to a cage at the San Antonio Zoo where he was given a companion, though he was now too fat to mate. A plaque on his cage told zoo goers of the accomplishments of Sam. The space pioneer passed away on September 19, 1978. 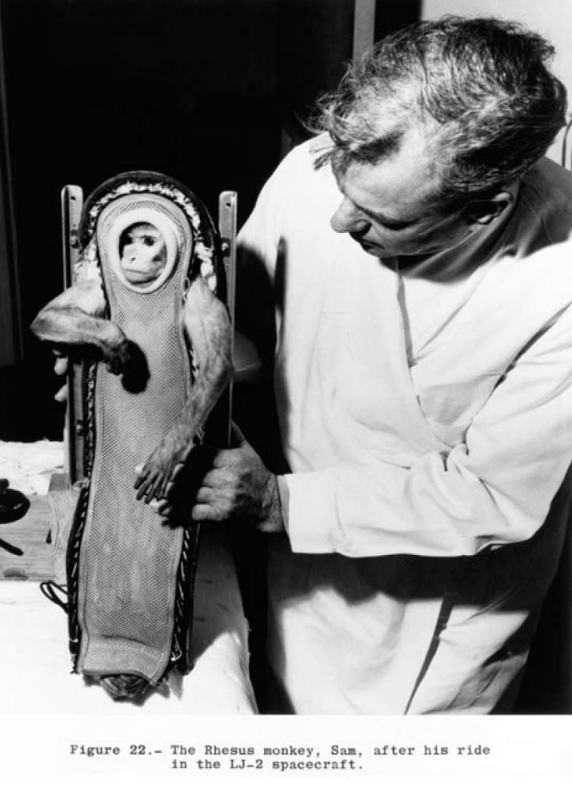 The chimp's body was taken back to Brooks for an autopsy, where more was learned of the effects of weightlessness. My name is Mark Louis Rybczyk. 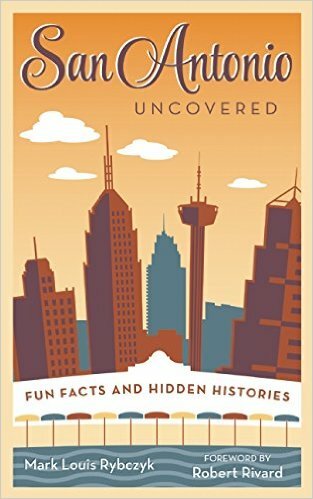 In 1992, I wrote the book San Antonio Uncovered, which for the first time researched and documented the city's most popular tales. We sold every copy of three printings. In 2000, I updated the book for the second edition. We sold out two more printings. A few years later my Texas based publisher was purchased by a larger East Coast publisher who then had the rights to my book. Despite continued interest in the book, it got lost in their vast catalog and never returned to print. Finally, with to the help of the fine folks at Trinity University Press, I was able to regain the rights after many years of struggles. In February 2106, San Antonio Uncovered returned to the shelves of your favorite bookstore and online retailer. Mark Louis might be better known as Hawkeye, the long time morning host on 96.3 KSCS. 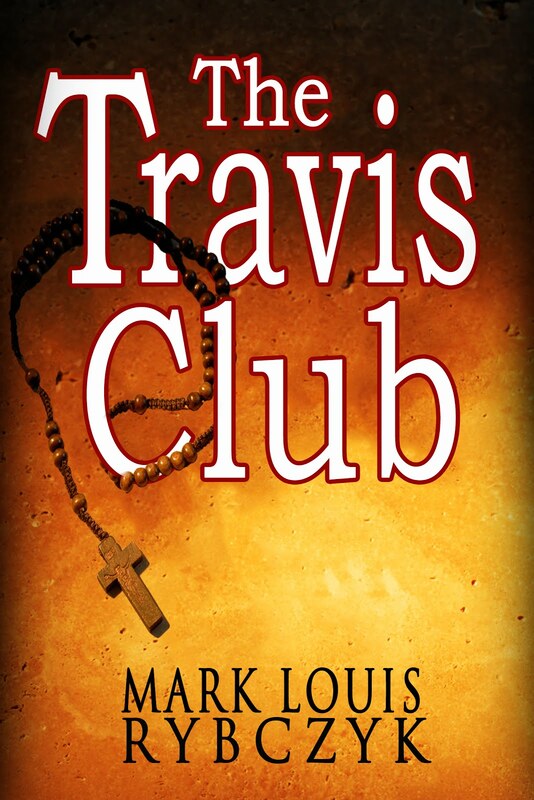 He has written three books including the latest, San Antonio Uncovered and The Travis Club. Was Ozzy Osbourne Arrested For Peeing on the Alamo?